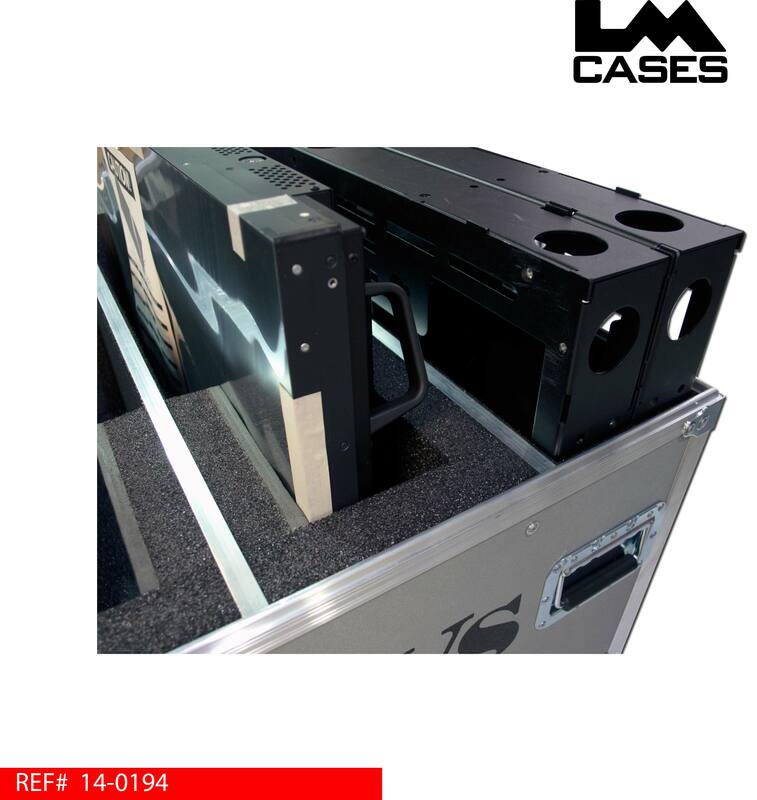 This case was designed for Alternative Video Solutions to hold 2 NEC x463UN monitors and 2 Premier MVW463 video wall mount brackets. The case holds each monitor in an individual slot that is lined with 2" Ester foam and features a piece of 1/2" Crosslink foam that touches the monitor face to prevent scratches. 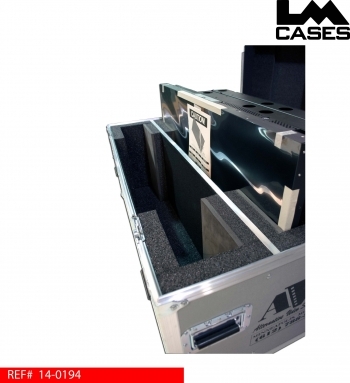 The Premier mounts are held in a black carpet lined compartment. 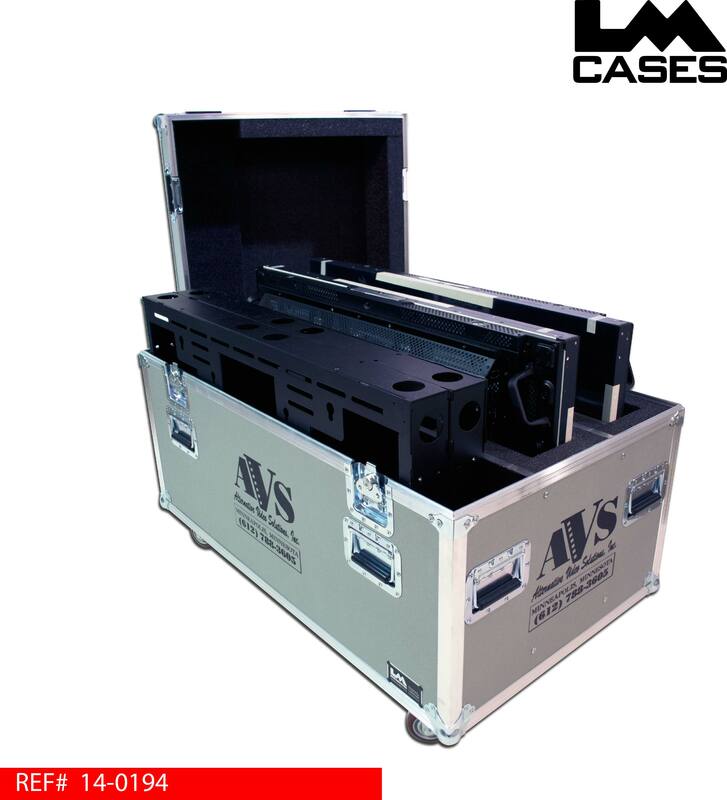 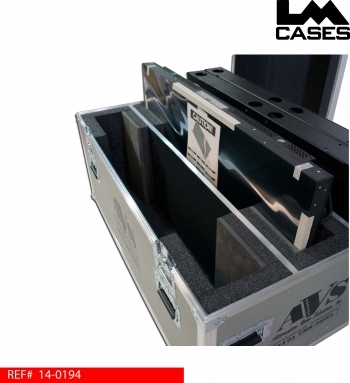 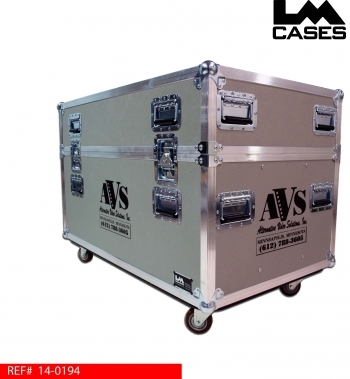 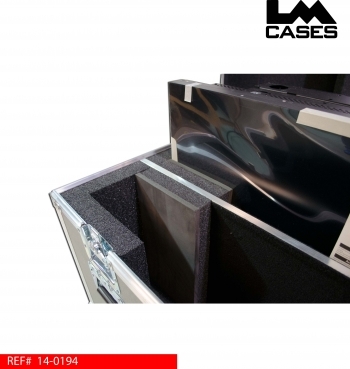 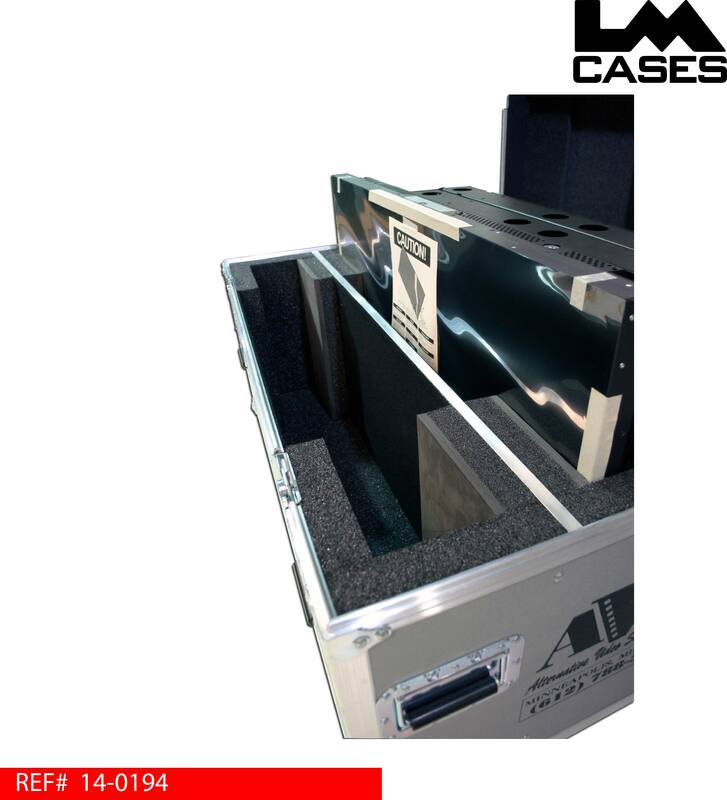 The exterior case is built of 3/8" plywood laminated with silver ABS plastic and features custom silkscreens of the AVS logo, 3.5" Colson Poly Hi-Tech casters and deep recessed handles.